OMG - how cute is this cover from Wonderland Magazine?! 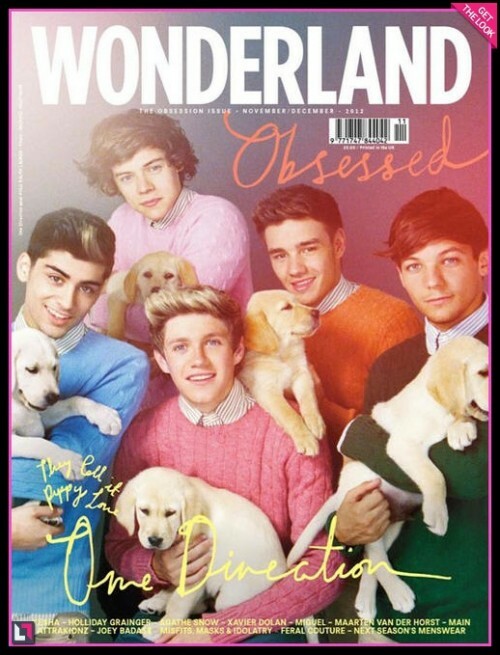 Puppies are about the only thing around that can steal the attention from the One Direction guys! Get more details on Niall, Zayn, Liam, Harry and Louis at Celebrity Teen Scoop.